This technical article briefly describes seven very important tests you should perform during commissioning of a dry-type transformer. Usually tests are performed in the factory where transformers are produced. The single-phase applied voltage wave shape shall be approximately sinusoidal. The test must be performed at rated frequency. At the end of the test, the test voltage shall be rapidly reduced up to 1/3 the full voltage before disconnection. 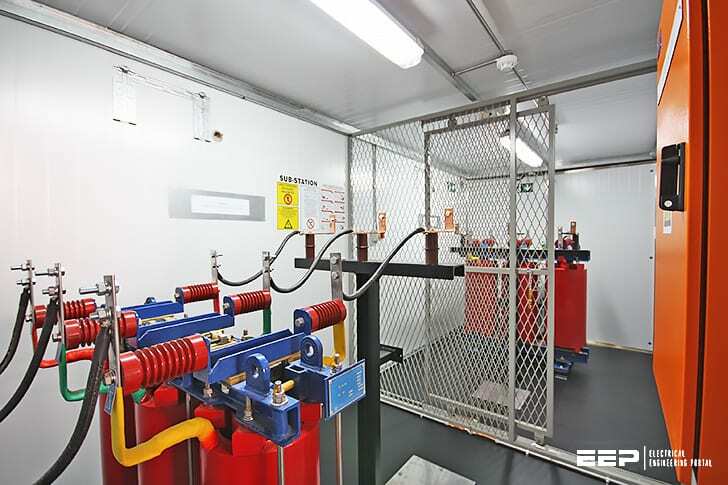 The full test voltage shall be applied for 60 seconds between the winding under test and all the remaining windings, magnetic core, frame and enclosure connected to earth. The test shall be performed on all the windings. The test is successful if no failure occurs at full test voltage. The test voltage shall be twice the value corresponding to the rated voltage. It shall be applied between the terminals of the secondary windings, by maintaining the primary winding open. The duration of the test at full voltage shall be 60 s, and the frequency twice the rated value. The test shall start with a voltage lower than 1/3 the full test voltage, and it shall be quickly increased up to full value. At the end of the test, the voltage shall be rapidly reduced up to 1/3 the rated value before disconnection. The test is successful if no failure occurs at full test voltage. Voltage ratio measurement and check of polarities and connections shall be performed on all tap changer positions. The correspondence between the numbers assigned to the tappings and the ratings shall also be checked. Voltage ratio measurement shall be performed phase by phase between the terminals of corresponding windings. Voltage ratio measurement is carried out by use of potentiometric method. This test is performed by supplying LV windings at rated frequency and rated voltage. The wave shape shall be as nearly as possible of the sine-wave and the primary windings shall be open. The frequency of the test shall not differ from the rated value more than ± 1%. No-load current and loss shall be measured as well as the mean value and the effective value of the voltage. If these two readings are equal, no correction shall be applied on the measurement of no-load loss. Otherwise, no-load loss shall be referred to sine-wave condition in accordance with IEC Standards 60076-1. No-load current shall result as the average value of three readings performed by effective value ammeters. Three wattmeters shall be used to measure the power, by using instrument transformers and transducers when necessary. Winding resistance measurement shall be performed when the windings are at ambient temperature without supply for a time long enough to achieve this condition. The measurements shall be carried out in direct current between terminals according to the sequence U-V; V-W; WU. Ambient temperature shall also be measured. It shall result as the average value of three measurements performed by apposite thermal sensors. The measurement shall be carried out after voltage and current are stable. Unless otherwise agreed, the HV winding shall be connected on principal tapping. LV winding resistance measurement shall be performed by measuring simultaneously voltage and current. The short-circuit loss and the short-circuit voltage show the performance of the transformer. These values are recorded and guaranteed to the customer and important for operational economy. The short-circuit voltage is an important criteria especially during parallel operations of the transformers. The short-circuit loss is a data which is also used in the heat test. Short-circuit voltage is the voltage applied to the primary winding and causes the rated current to flow in the winding couples while one of the winding couples is short circuited. The active loss measured during this, is called short-circuit loss. If the adjusting range is more than 5%, in addition to the rated value, the losses are repeated for the maximum and minimum values. The short-circuit loss is composed of “Joule“ losses (direct current/DC losses) which is formed by the load current in the winding and the additional losses (alternating current/AC losses) in the windings, core pressing arrangements, tank walls and magnetic screening (if any) by the leakage (scatter) fluxes. In general, the HV windings of the transformer are supplied while the LV windings are short-circuited. During measurement, the current has to be at the value of IN or close to this value as far as possible. The voltage, current and short-circuit losses of each phase should be measured during measurement. In cases where the power supply is not sufficient enough to supply the measurement circuit, compensation to meet the reactive power has to be made using capacitors. Before beginning to measure, the transformer winding temperature has to be stabilized and the winding temperature and winding resistances have to be measured. In order to avoid increasing the winding temperature by the applied current, the measurement has to be completed in a short time and the measuring current has to be kept between 25%…100% of the rated current. In this way, the measurement errors due to winding temperature increase will be minimized. The losses have to be corrected based on reference temperature (e.g. 75°C ) stated in the standards and evaluated. The short-circuit voltage and losses which are found at the temperature which the measurement was made, have to be corrected according to this reference temperature. All PD measuring methods are based on the detection of PD current impulses i(t) circulating in the parallel‐connected capacitors Ck (coupling capacitor) and Ct (test object capacitance) via measuring impedance Zm. The basic equivalent circuit for PD measurements is presented in figure 5. The measuring impedance Zm can either be connected in series with coupling capacitor Ck or with the test object capacitance Ct. PD current impulses are generated by charge transfers between parallel‐connected capacitor Ck (coupling capacitor) and Ct (test object capacitance). Present IEC and IEEE Standards have both established rules for measuring and evaluating electric signals caused by partial discharges together with specifications on permissible magnitude. The IEC approach to the processing of the recorded electric signal is different from the IEEE approach. IEC transforms the signal to an apparent electric charge generally measured in picocoulombs (pC), while IEEE transforms the signal to a Radio Interference Voltage (RIV), generally measured in micro volts (μV). The use of the RIV‐method for PD‐signal detection will be abandoned, although the IEEE standard has not yet been officially approved. The detection of apparent charge in pC is the preferred method now in use in IEEE Std. C57.113. For the detection of apparent charge the integration of the PD‐current impulses i(t) is required. Integration of the PD current impulses can be performed either in the time domain (digital oscilloscope) or in the frequency domain (band‐pass filter). Most PD systems available on the market perform a “quasi integration” of the PD current impulses in the frequency domain using a “wide‐band” or “narrow‐band” filter. Circulating PD current impulses – generated by an external PD source (in the test circuit) or by an internal PD source (in the insulating system of the transformer) – can only be measured at the transformer bushings. Bushing capacitance C1, represents the coupling capacitor Ck, which is connected in parallel with capacitance Ct (test object = total capacitance of the transformer insulating system). Demonstration of UHF partial discharge location in a power transformer using time-of-flight techniques. Which type winding is better Super enameled electrolyte copper or Foil copper for 3 PhTransformers (DTRs & PTRs). Edvard Csanyi, how are you there, i like your posts of electrical engineering !! is it possible to to have training in your company ? Thanks for your lessons.Your portal is of high quality.